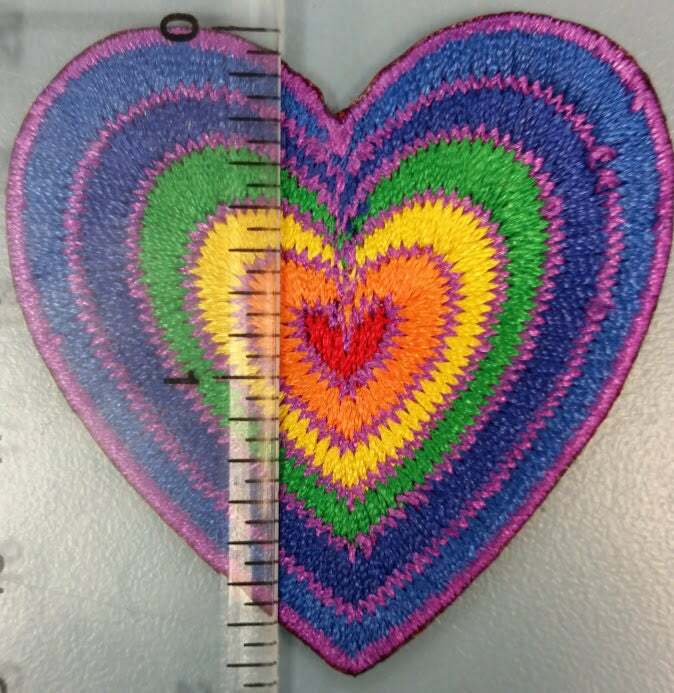 This beautiful small rainbow heart patch would look great on any of your apparel or gear. 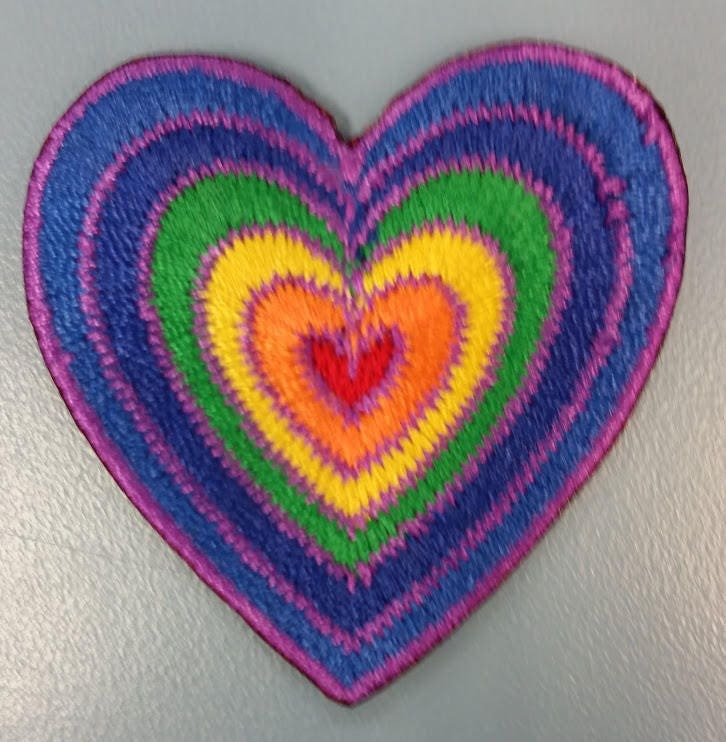 It is sewn with all the colors of the rainbow with purple as the outlining color. 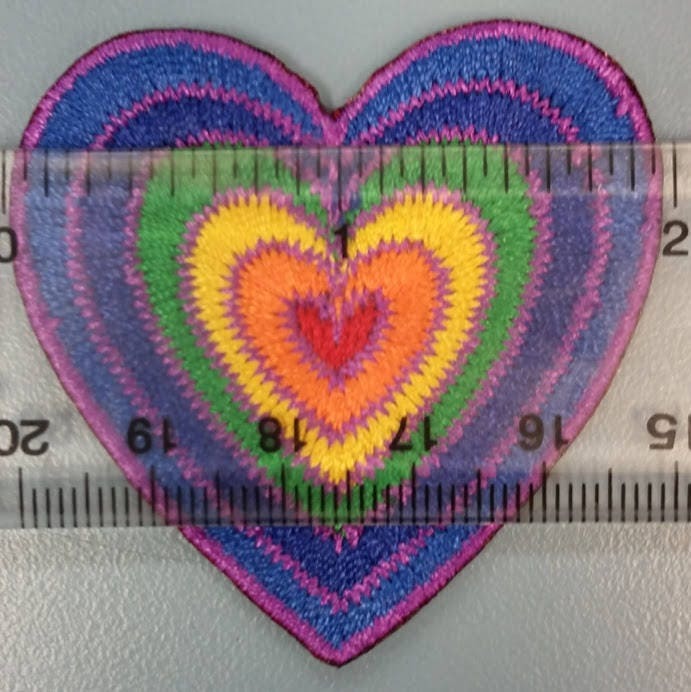 It measures approximately 2" in diameter. It has an iron on adhesive to make application easier.